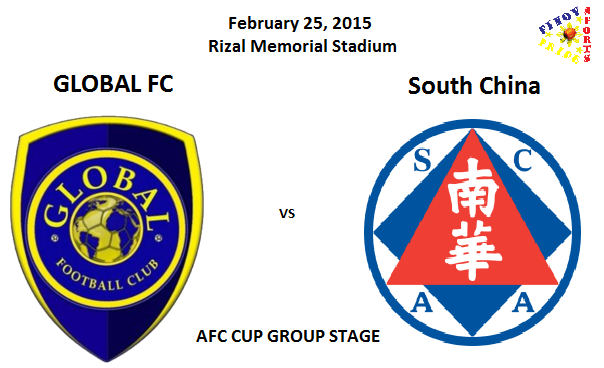 Watch the game between the Global FC vs South China on February 25, 2015. This game is for the AFC Group Stage competition. Global FC will represent the Philippines for this upcoming event. This game against the South China would be their first game. Global FC is one of the top football team in the Philippines playing in UFL, its a football club based on in Tacloban, Leyte. They're the UFL Division 1 champion in year 2012 and 2014. Team founded in year 2000 and currenly managed by Dan Palami. About the South China team, they're the best team so far in Hong Kong, they won a record 40 First Division Leaguetitles. They have also won a record 31 Senior Shields, a record 9 FA Cups and 2 League Cups. Currently the South China team is handled by Coach Mario Gomez. For sure this would be a hard match for the Global FC but we know that the Philippine top football team will rise infront of their fans.